This healthcare KPI measures patient satisfaction by combining a variety of factors that include patient surveys and questionnaires as well as contextual data related to their stay. Hospitals are in the business of customer service, and patients that are satisfied are a clear indicator of quality of service. 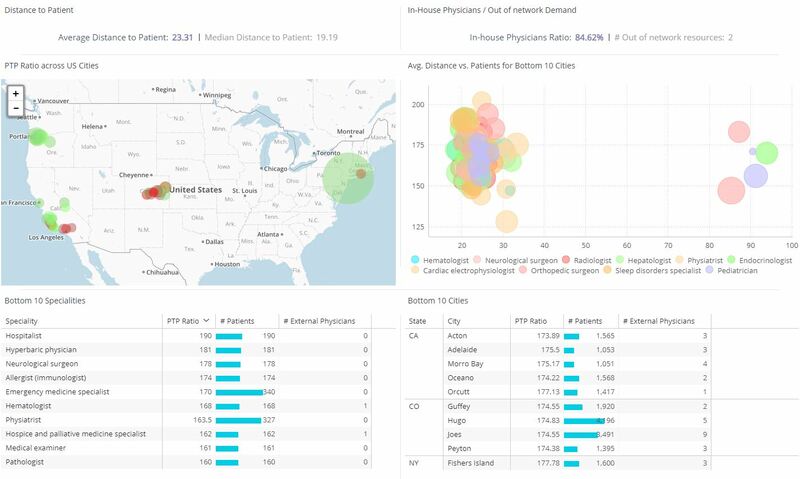 By tracking how patients perceive various aspects of their treatment including wait times, quality of care, and test turnaround time, hospital administrators can find actionable insights on areas for improvement. This includes areas like patient safety in hospitals, level of care in treatment, and post-procedure services. Additionally, patient satisfaction can indicate broader problems or strengths. Healthcare providers can also use patient satisfaction to help determine budget allocation, bonuses, and other incentives for staff. To measure patient satisfaction, you can track a few different metrics to create a better aggregate view. One way to track it is to measure the percentage of patients that described their experience as satisfactory. You can also use aggregate data about specific aspects of treatment and care such as wait times or delays in procedures. The simplest way to track patient satisfaction is by inputting survey data directly into a dashboard or importing it from an Excel or CSV file. Let’s imagine a recent report showed that despite a variety of new policies and programs across your hospital, revenues are down, and patients remain unhappy. The cause seems to be specific though, as the results indicate that most dissatisfaction is coming from a specific location. Tracking different sides of customer satisfaction can help shed light on the issue and provide viable solutions. In this case, it may be that patients are unhappy with how long certain tests are taking to be turned around for further treatment. The delays can also impact other areas and cause bottlenecks for other patients. By discovering the service patients are unhappy with, hospitals can tailor responses that are more effective in the long term and make headway on improving patient satisfaction.